Bunch Brothers' popular annual, two-day Fall Auction was held on Dec. 4 and 5 at the Kentucky Fair & Exposition Center in Louisville, Ky. 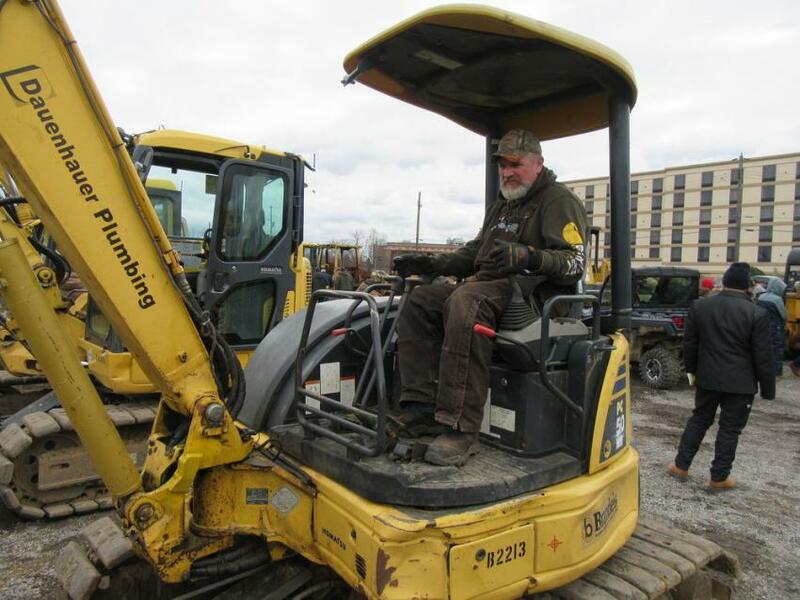 The auction included equipment from area contractors, dealers and rental houses. 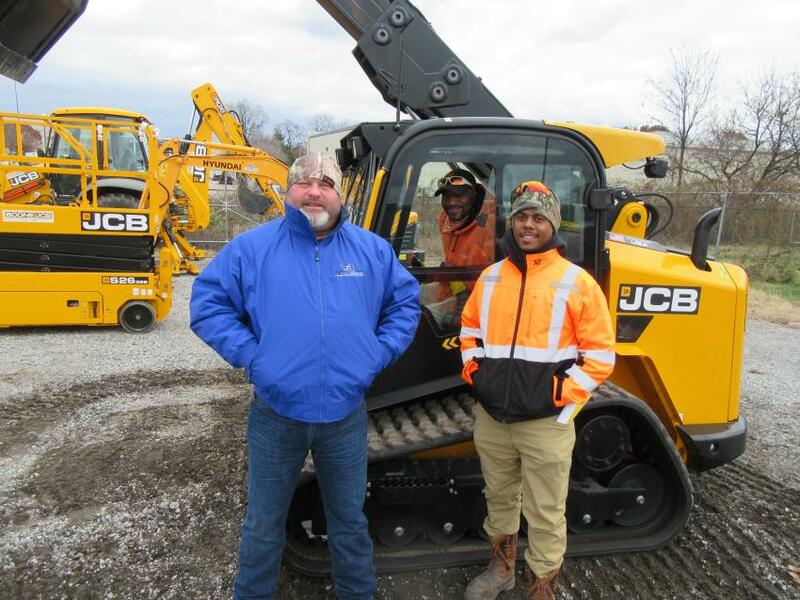 Day 1 focused primarily on construction equipment and included a large selection of excavators, loaders, backhoes, skid steers, motorgraders, manlifts, and other related equipment. Day 2 featured a wide variety of trucks and trailers. 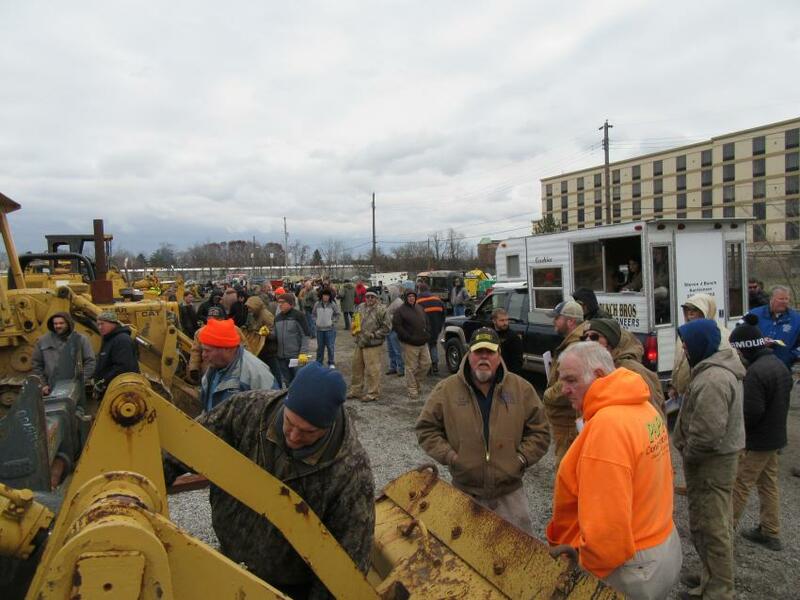 The auction attracted a crowd of equipment buyers from Kentucky and surrounding states while drawing active online bidding as well. 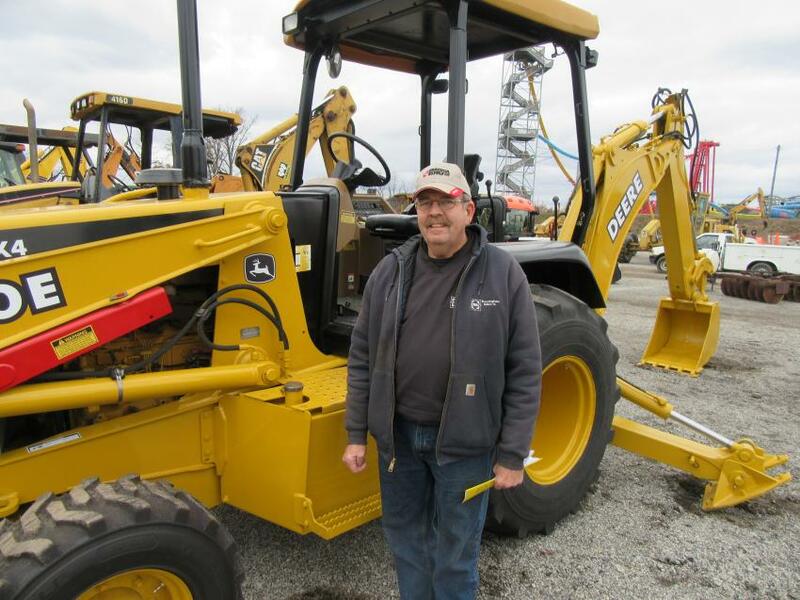 Both buyers and sellers seemed pleased with the prices the equipment commanded at the auction. Pat Carby of Midland Powder tries out a Komatsu PC50 mini-excavator. (L-R): Team Boone’s Jeff Willis, on hand at the auction with an equipment display, spoke with Lee Davidson and Kendrick Lancaster of NeatLeeDone Lawn & Landscape about the dealership’s lineup of JCB and Hyundai equipment. 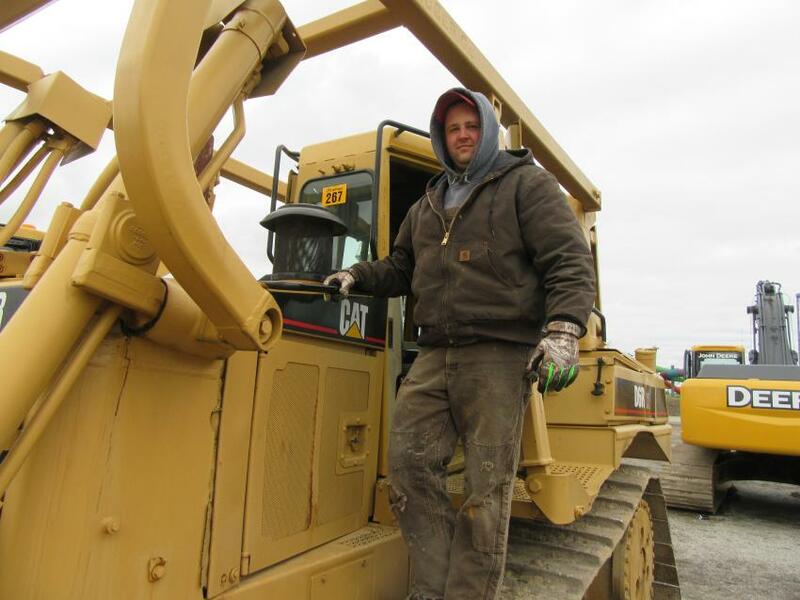 Trent Riggs of Riggs Farms considers a bid on a Cat D6R XL dozer. 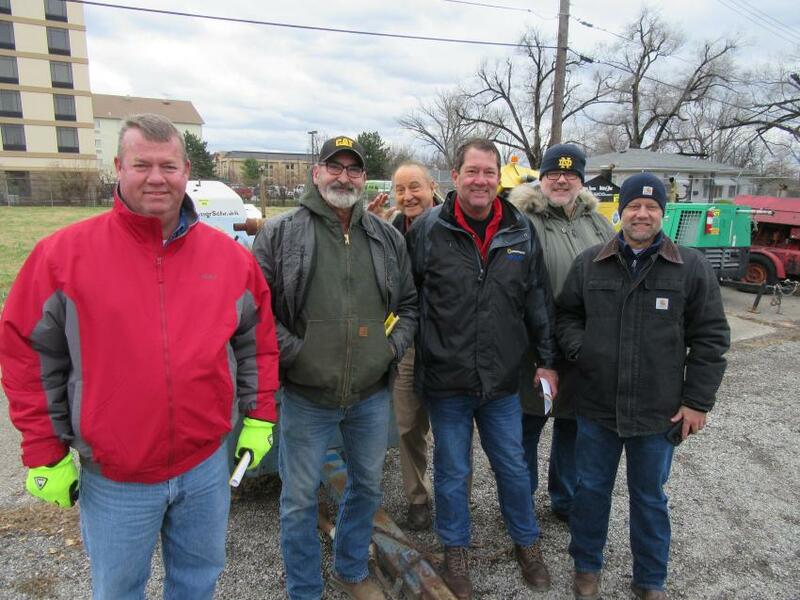 (L-R): Rod Kiefer of Sedam Contracting, Guy Stotts of Vogt Dosposal, Bob and John Liter of Liter’s Inc., Dave Wicking of R3, and Barry Hornback of Liter’s Inc. caught up with each other at the auction. 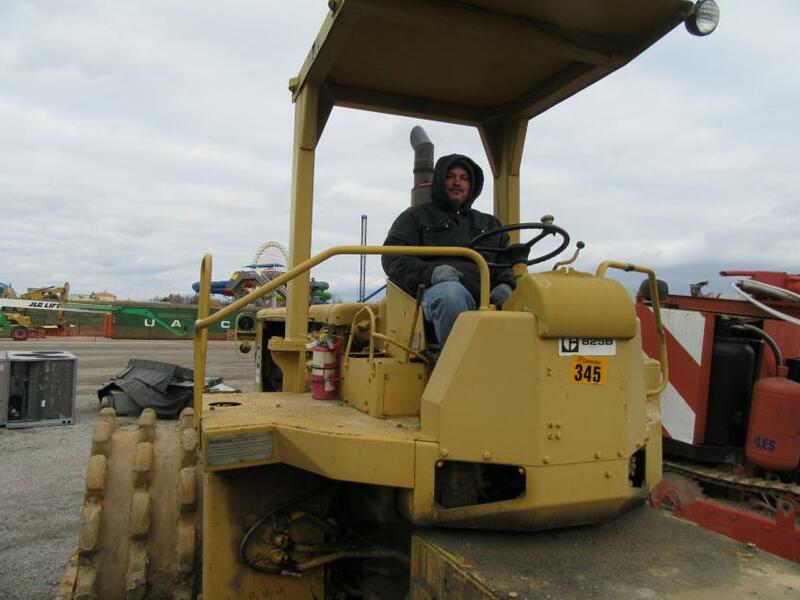 Steve Goodman of Goodman Construction Inc. hoped to add to his fleet at the sale. Paul Brantingham of Brantingham Builders takes a closer look at the John Deere 310E backhoe at the auction. 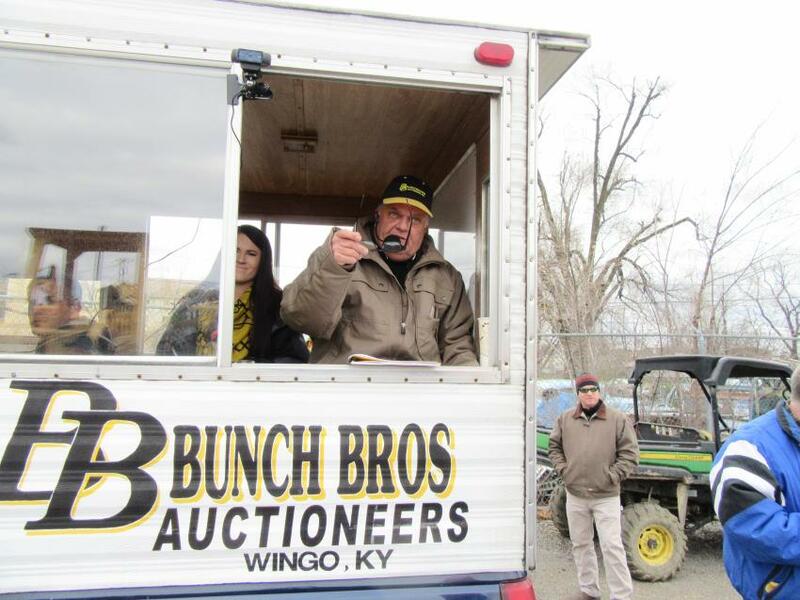 Bunch Brothers lead auctioneer, Steven Bunch, calls out another winning bid. Bunch Brothers’ annual Fall Auction attracts a large crowd of bidders.